ENJOY IFTAR- THE EATALIAN WAY! 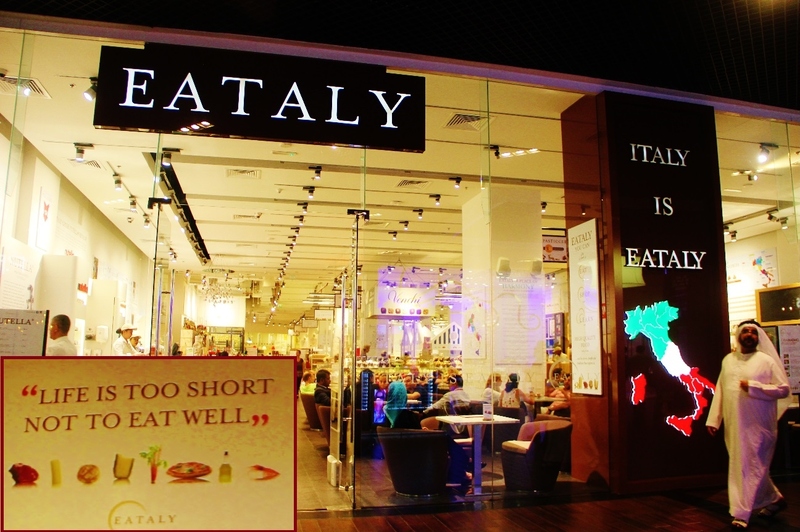 Italian Resturant in Dubai Mall. To Celebrate the breaking of fast thisRamadan, Eataly has designed a special set menu that’s flavorful, wholesome and healthy. We chose from one of their custom made Iftar set menus (89aed or 119aed per person) which had a wonderful assortment of soups, salads and main courses with a finale of heavenly Date Tiramisu. The tantalizing Minestrone Soup (minestrone soup drizzled with pesto sauce) laden with fresh ingredients and the Elegante (Corella pears parmigiano mixed green salad, topped with walnuts and balsamic dressing) salad topped with crunchy walnuts and cheese instantly revitalized me. We even tried out the Insalata del Giardino (mixed green salad, cherry tomatoes, red radish, croutons, carrots and onions served with balsamic dressing). I have never eaten so much green with such relish before. Certainly a place to take your kids to train them to eat greens, because one can’t help but eat the salads if they as delicious as the ones we had at Eataly. The fresh Jallab made from date syrup with rosewater and topped with pine seeds & raisins was the most apt drink to soothe the summer blues away. I sipped up the last drop of it before scooping out the crunchy pine seeds and sweet raisins to feast on them. grilled salmon topped with salmoriglio sauce and our choice of side dish- followed by Spaghetti Alla Carbonara.The spaghetti made from alfeltra spaghetti was flavorful and had some crunch in it. The delicious taste was created from pesto sauce, boiled diced potatoes and green beans. Blessed with a sweet tooth dessert time is always await eagerly.The Tiramishu Con Datteri served out to us at Eataly was one of my personal favorite. It was quiet unlike the rich tiramishu I have tasted elsewhere. It was surprisingly light without compromising on the taste The sweetness seemed to exude from the natural sweetness of the dates. Apart from the scrumptious food I am certainly going back to Eataly for more of their Tiramishu dessert and probably even check out a few more of their dishes I chanced by in the menu . The restaurant is a sprawling space and its charm lines in the minimalistic and witty deor. 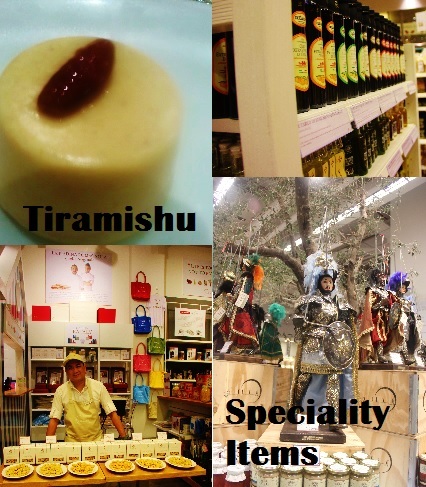 The space serves as a supermarket to grab your specialty Italian items. A guest can not only dine but also indulge in shopping for their exclusive Italian food items, souvenirs as well as household items at House X. They even have a cool caffetaria called Gran Cafe and a eye-catching Nuttela snack counter. This one cool diner I would love to revisit anytime I am at Dubai mall. 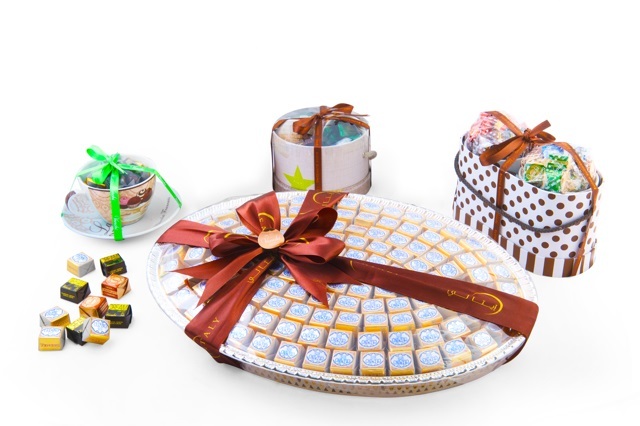 As part of the Ramadan celebration Eataly is selling wonderful gift hampers that you can customize your self. Established in 2007 by former electronics entrepreneur Oscar Farinetti with the aim of making high-quality Italian food available to everyone, at affordable prices and in an informal environment where people can shop, taste and learn. Eataly opened its first 30,000 square feet location in a rundown vermouth warehouse in the Lingotto district of Turin, and has expanded ever since to 27 stores (10 in Italy, 13 in Japan, 1 in New York, 1 in Chicago, 1 in Turkey, and 1 located inside the Dubai Mall in Dubai, which opened its doors in December 2013). “We’re in love with food” and “Food unites us all” are just two of the key philosophies of the Manifesto of the food emporium that combines multiple restaurant stations with a cafe and gourmet farmers’ market.